The Rugby World Cup is a rugby union tournament contested every four years between top international men’s teams. The competition started in 1987, when it was co-hosted by both New Zealand and Australia. The latest tournament was held in 2011 in New Zealand. The New Zealand national team won the tournament by beating France in the final. The champions are awarded the William Webb Ellis Cup, named after William Webb Ellis, who according to myth, invented rugby by picking up the ball during a football game. Throughout its history, three teams have won the trophy twice, Australia, New Zealand, and South Africa. The competition is managed by World Rugby, the sport’s international governing body. While sixteen teams were invited to participate in the first tournament in 1987, since 1999 twenty teams have taken part. 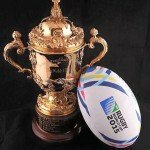 The 2015 World Cup, which will be the 8th Rugby World cup, will be hosted by England, from 18th September to 31st October. Twickenham Stadium in London will host the final. Additionally, the event in 2019 has been confirmed to be hosted by Japan. England was chosen to host the 2015 competition in July 2009, beating rival bids from Italy, Japan and South Africa. The organisers, Rugby World Cup Limited, had recommended England to the International Rugby Board, now known as World Rugby. Of the 20 teams competing at the 2015 World Cup, 12 teams immediately qualified by finishing in the top three places in their pools in the 2011 World Cup. The following eight teams qualified through their respective regional competitions. Of all the countries that competed in the previous World Cup in 2011, there was only one change – Uruguay replaced Russia. From 18th September to 31st October 2015, clear your calendars as SimpleTelly opens the doors to the Rugby World Cup on ITV player!